Along with the affordable Zenfone 2, Asus took the wraps off another camera-centric smartphone at CES 2015. We got to spend some time with this device, and here is our first look as we go hands-on with the Asus Zenfone Zoom! As the name suggests, Zenfone Zoom comes with a 13 MP rear shooter with a 3x optical zoom, with optical image stabilization, and a laser auto-focus system, all of which should allow for a fantastic camera experience. The 10-element lens design also allows for 12x digital zoom. While the camera unit does dominate the back, it isn’t as jarring as is the case with some other implementations out there, allowing for quite a good feel in the hand. Other than the camera, all there is on the back is the Asus logo and a rear-facing speaker. The phone feels very sturdy, with a metal feel around the frame and the bezel below the display. A lot of the design elements up front are similar to the Zenfone 2, but it does feel more premium in this case, which should reflect in the price point as well. The power button is better positioned this time around on the right side, below the volume rocker. Given the focus on the camera with this device, a dedicated camera shutter button is a welcome addition. The Asus Zenfone Zoom also comes with a 5.5-inch display with a 1080p resolution, resulting in a pixel density of 401 ppi. The rest of the hardware specifications are still unknown, but we do expect this device to be powered by the same Intel processing package found under the hood of the Zenfone 2. We aren’t able to dive deeper into the software experience on the Zenfone Zoom because of some issues still needing to be worked out, but for the most part, the Zen UI is largely the same as what we saw on the Zenfone 2. Some of the elements of Android 5.0 Lollipop make its way over to the Zenfone Zoom, including the card style Recent Apps screen and a revamped notification drop down and quick settings menu. Included in the Zen UI are a number of new features including ZenMotion, a set of touch gestures that provide easy access to frequently-used features such as One Hand mode or Do It Later, and SnapView, a security feature that ensures privacy for apps, photos and files. The UI is also highly customizable, with a slew of personalization options available to cater the look and feel to exactly how you may like it. 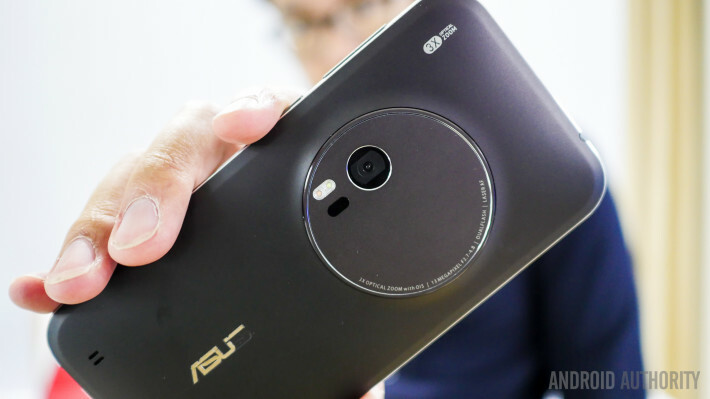 So there you have it – a first look at the Asus Zenfone Zoom! There’s a lot about the device that we couldn’t explore in this hands-on, and we can’t wait to run it through the ringer in an upcoming comprehensive review. Until then, stay tuned with Android Authority as we continue to bring you more great coverage from CES 2015!